Bess and George are fighting - and Nancy's caught in the middle! It's Valentine's Day, but things are not all hearts and flowers for Nancy! 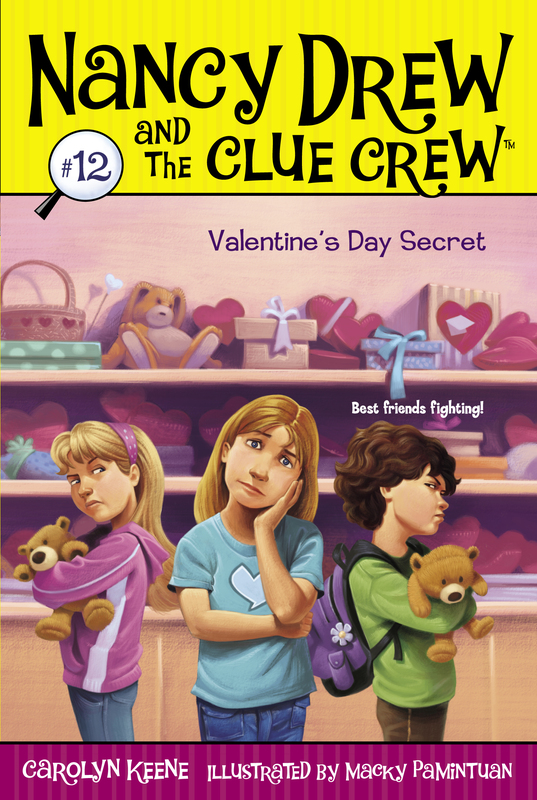 While she and her best friends, Bess and George, are making their own stuffed animals at Farmer Fran's Barnyard Buddies, someone slips a mean valentine into Bess' animal's pocket. What's worse than a mean valentine? Bess thinks it came from George! Now the two are in their worst fight ever - and Nancy's caught in the middle! How can she sew Bess and George's friendship - not to mention the Clue Crew - back together?